When I first came across Boy Story on Twitter earlier this year, I got super excited to see a new company emerging with an innovative idea that breaks the typical gender stereotypes. Once I read a little more about them in The Baby Spot, I fell in love! 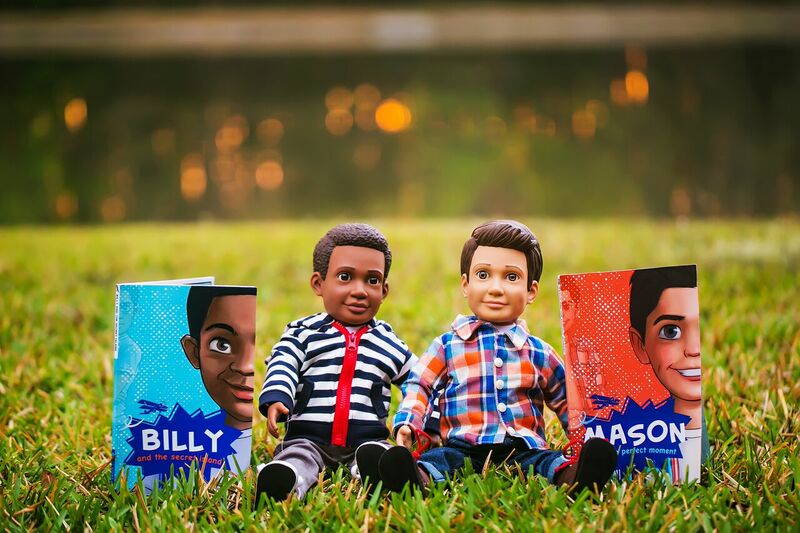 I got a chance to interview the amazing creators of Boy Story, Kristen and Katie to learn more about them and share what they do with my amazing readers. Tell me a little about yourselves. 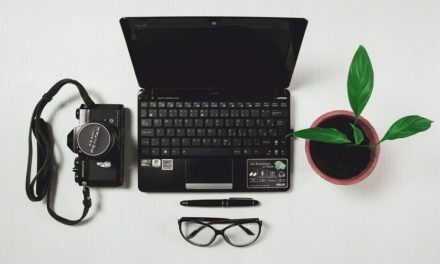 When did you start your business and how did you come up with the idea? 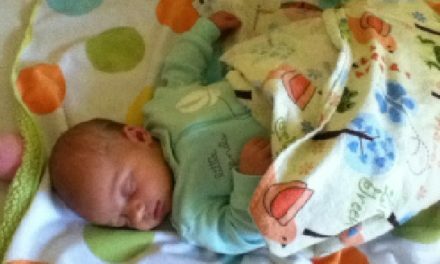 “The idea started while Kristen was pregnant with her second son in the summer of 2014. 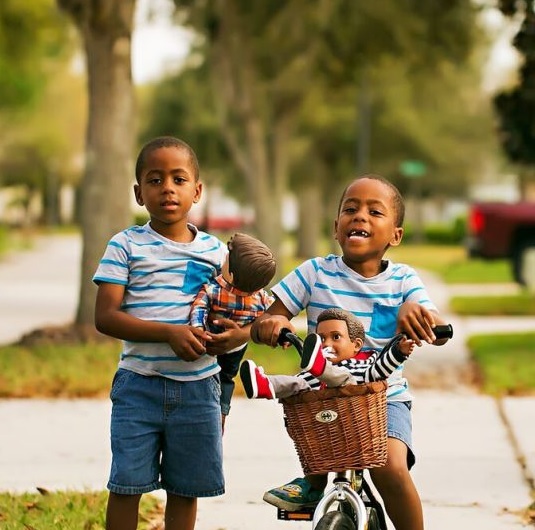 She wanted to buy a boy doll for her older son to help him get used to the idea of being a big brother and to have a companion to play with at times when mommy was busy taking care of the baby. But when she went to buy a boy doll, she was shocked at the market. Most dolls were either girls or baby dolls. There were no cool boy dolls out there. That was the beginning of the idea. How did you come up with the business name? “We went in circles over the business name, but kept coming back to Boy Story. 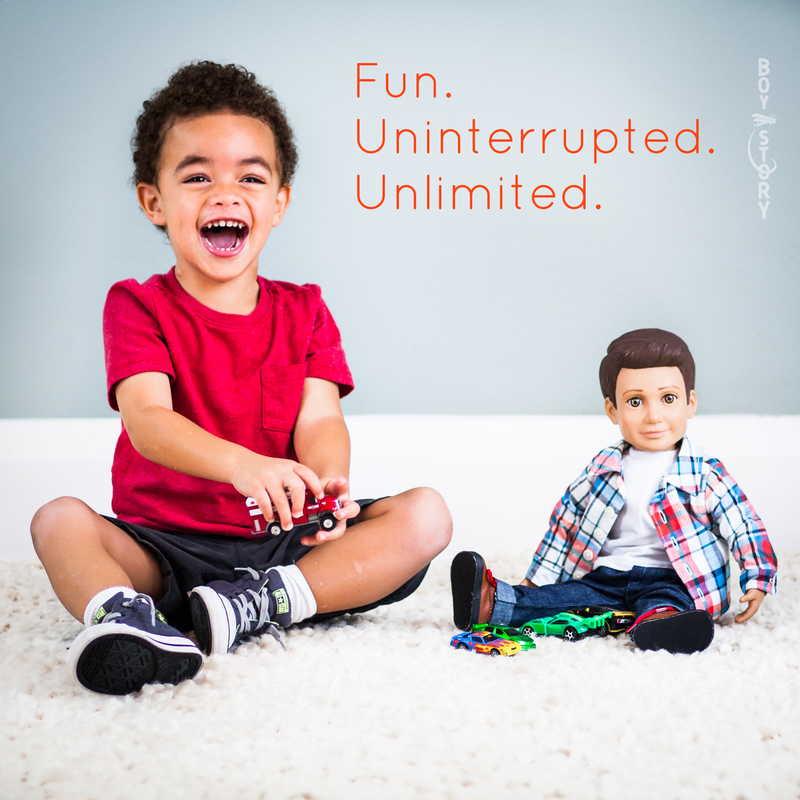 We wanted something that really reached out to boys and help counterbalance the market. 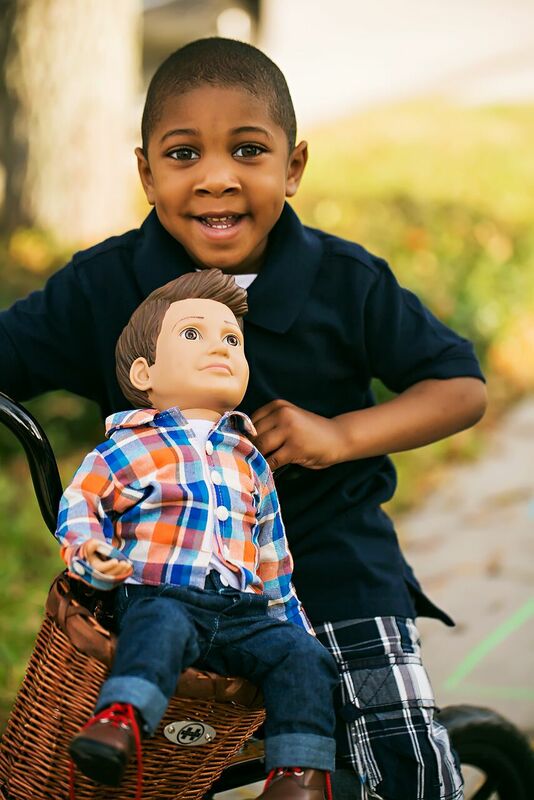 Our doll line is exclusively boy dolls (right now). And we wanted that to be captured directly in our company name. 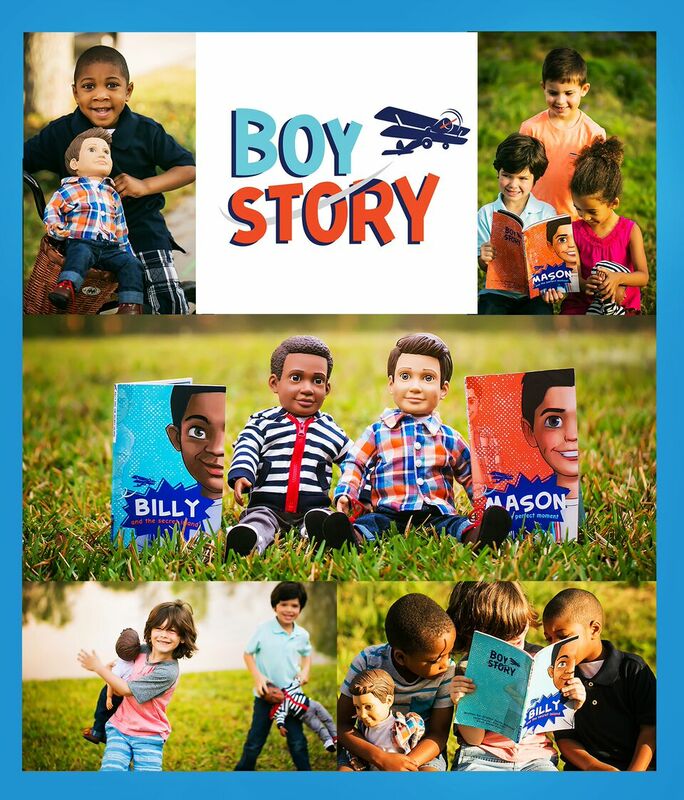 So we embraced the goal and went with the name “Boy Story.” The dolls are accompanied by adventure stories, so that’s where the “story” part comes in. What do you hope your business accomplishes? “Our big picture vision is to eliminate the stereotype that “dolls are for girls.” We want to give kids choice in play. When our generation’s kids walk into a toy store, we want them to run down the aisles looking for fun and adventure – without a care in the world as to whether the toy is “for a girl” or “for a boy.” If we look back 10 or 15 years from now and our kids laugh at the notion of gendered toys, we will have made a huge achievement. Since your launch, what has been your favourite moment or success so far? 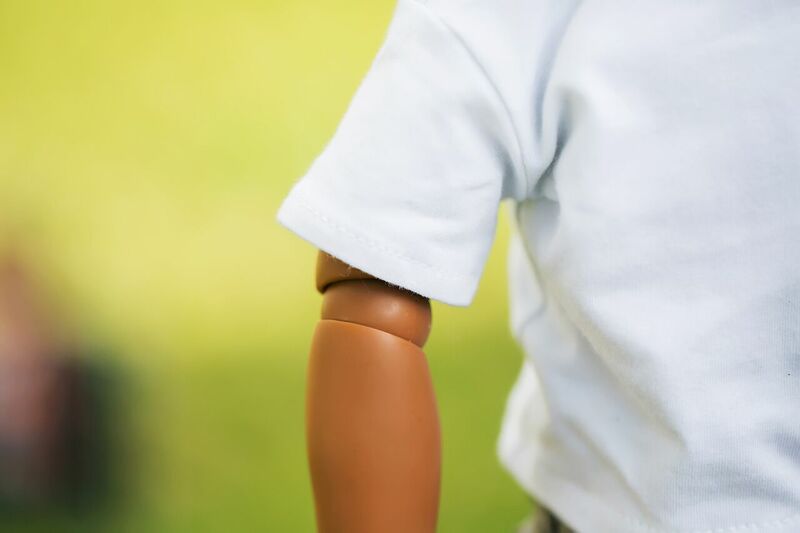 “One of the most amazing moments was when we actually received the completed prototypes of our dolls. It was one of those “dream come true” moments where an idea turned into something real. If someone is interested in purchasing one of your dolls, how can they get started? 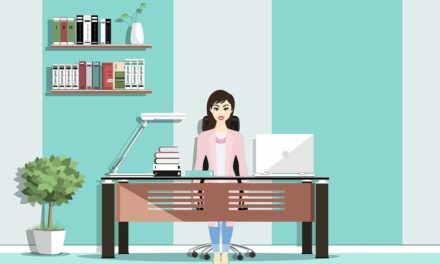 Anything else you would like to add for our readers? 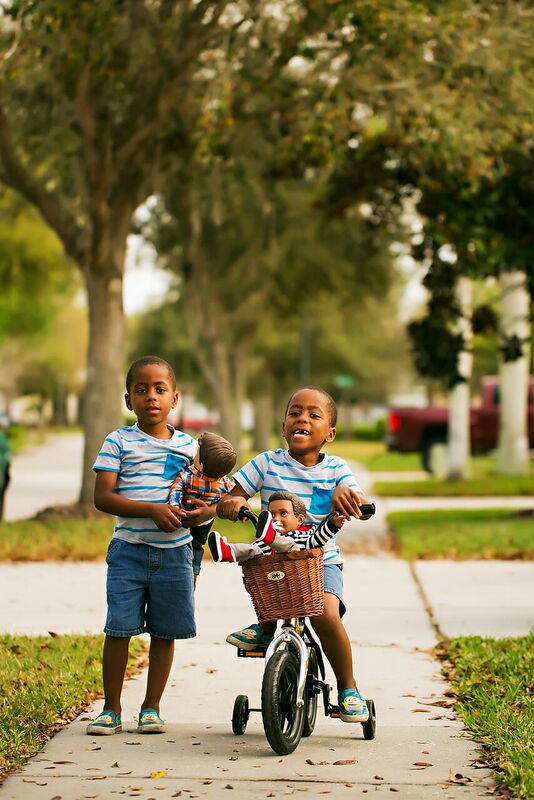 “We are immensely grateful to be featured by Momma Braga! 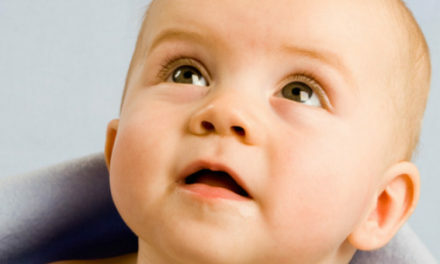 The support we’ve received in general as we’ve started up Boy Story from Melanie has been truly humbling. We’re all in this walk of life together, and our “village” today is built from passionate and hardworking people like her. 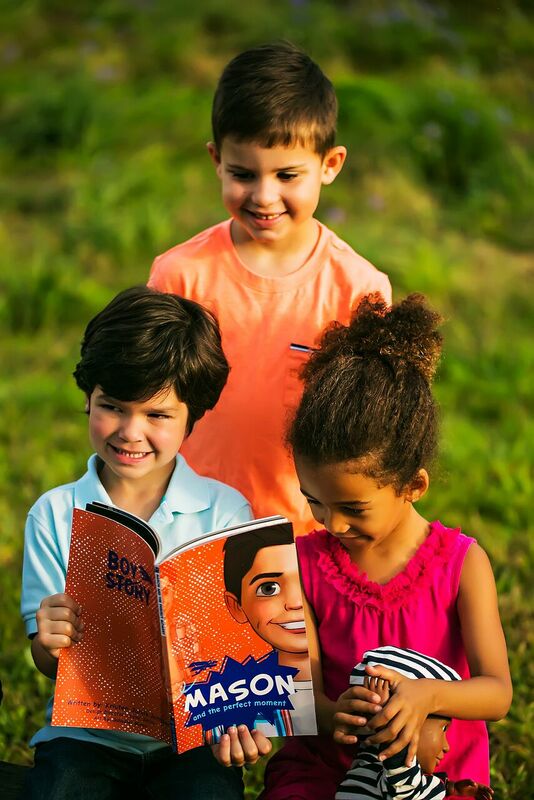 Well, if words could blush you would be able to see that I am truly flattered with the kind words from Boy Story on Momma Braga – thank you! It truly is very easy to support an amazing company who is changing the way kids play and making it more inclusive for everyone. 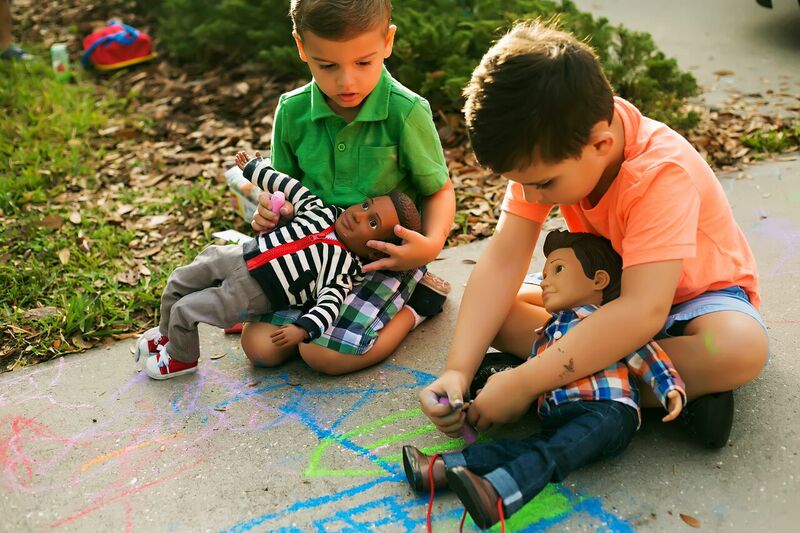 A toy shouldn’t be determined by gender as all should be able to play together. Momma Braga gives this company 5 stars out of 5 for being innovative, inclusive, and for breaking gender barriers. 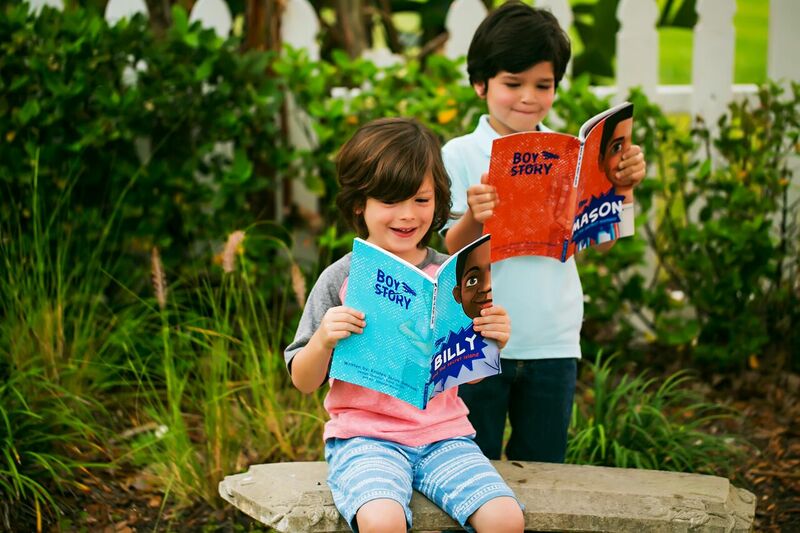 Boy Story is following their dreams to make kids dreams come true!